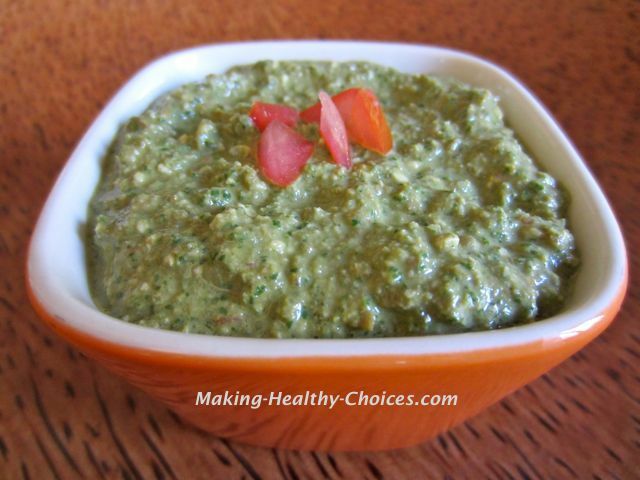 This pesto recipe is raw and vegan. 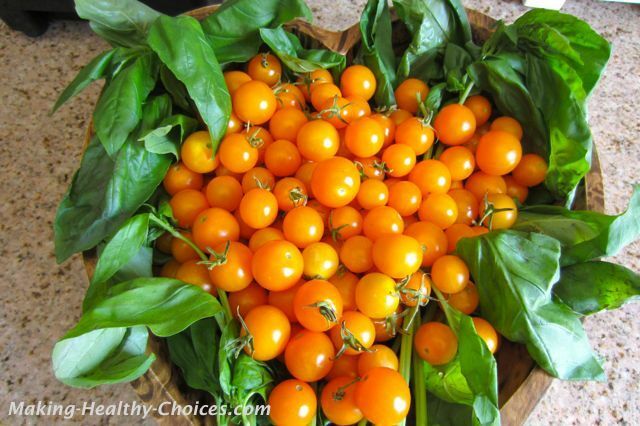 Not only is it delicious and easy to make but it is full of health giving nutrients. topping for pasta, vegetables, etc. For best results, always use fresh and organic ingredients and start all of your recipes with LOVE - it is the secret ingredients that will make everything shine. See below for more information on the following ingredients. 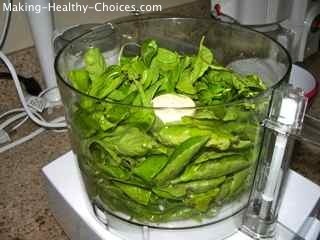 Add all ingredients into a food processor and process until you have a smooth consistency and everything is blended well. Don't forget that a recipe is just a guideline - feel free to taste and adjust ingredients to suit your palate. Follow the pesto recipe above. Chop one big tomato or a several smaller ones and add this to the mixture in the food processor and process again until well blended. This variation on the above recipe makes your pesto sauce lighter and offers an entirely different flavour profile. is a wonderfully aromatic herb that comes in more than 50 varieties. Basil is restorative, helping to restore balance in the body - especially of lung or stomach complaints but also helpful in treating mild depression, headaches and menstrual pain. Basil is helpful for calming nerves, aiding in digestion, and in helping to relieve constipation, nausea, insomnia, fatigue, colds and flu. Basil has also proven helpful against bacterial infections and intestinal parasites. Basil is also high in health giving antioxidants. Basil can be easily grown in your home and is widely sold at grocery stores and farmers markets. Pine Nuts are the seeds from the pine tree. Eating pine nuts will help to alleviate coughs and constipation. Pine nuts have a good protein content as well as containing vitamin A, B and many minerals. You can purchase pine nuts in most grocery stores and I would suggest keeping them refrigerated until time of use to retard rancidity. Hemp Seeds nutrient dense seeds that are a great source of Omega 3 essential oils. They have a beautiful taste and texture and will add a gorgeous taste and some great nutrition to anything they are added to. Olive Oil is a beautifully golden oil. It is a very stable oil that has a high vitamin E content. This makes it a wonderful food for your skin, hair and nails (both when ingested or used topically). Olive oil is highly regarded for its ability to support liver and gallbladder functions. Olive oil is widely sold in grocery stores. Sea Salt is a much healthier option to iodized table salt. Sea salt is rich in minerals and the best ones to buy are the ones that are grey or pink.